Quest Text: You received a letter from the local wizard. He claims to have information regarding the old community centre. Provided by: The morning after you examine the first golden scroll in the Community Center, you receive a letter from the Wizard saying he has information for you. Requirements: Enter the wizard's tower. 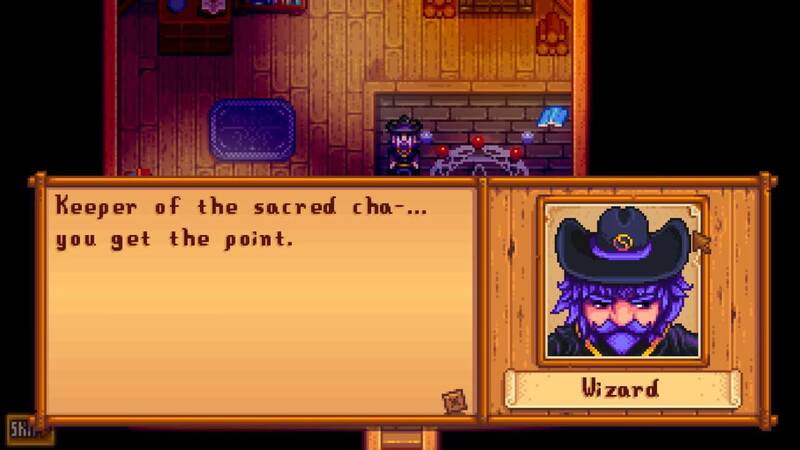 Reward: The Wizard gives you a potion that allows you to read the language of the Junimos. The quest Meet the Wizard is really easy to complete and will take you minutes to complete it. Keep in mind that this is not a useless quest and you must have to complete this one. This is because if you do not complete this quest then you will not be able to complete the community centre bundles and thus you will not be able to get all the rewards that it offers. So follow this guide carefully and complete this quest. 1. 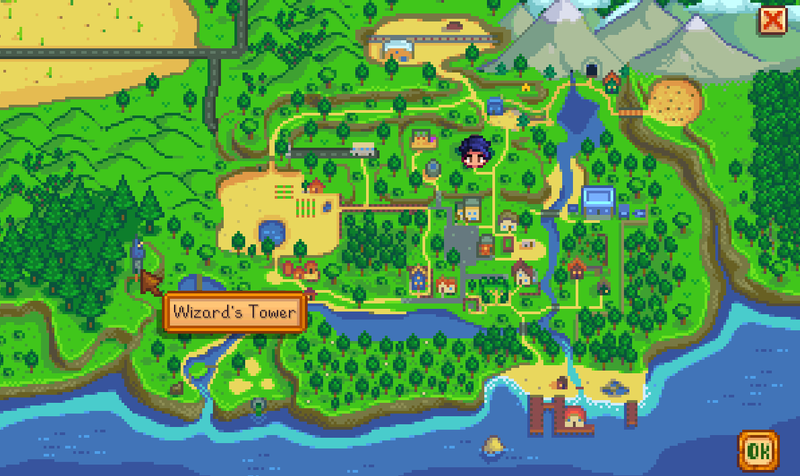 To get to the wizard tower, you will need to go north of the town. Now the easiest way to do that is to take help from the map. The map will guide you throughout the way to help you get there. 2.When you are going to the tower of the wizard, you will come across a lake, just go past that lake and you will come across the tower right beyond the lake. 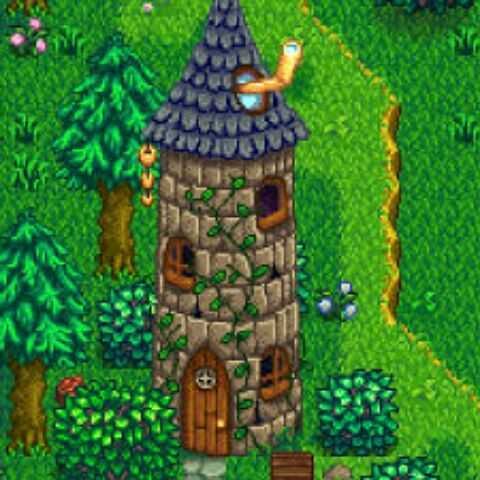 3.Once you enter in the tower, you will see a pot with green smoke on your left and the wizard on your right. 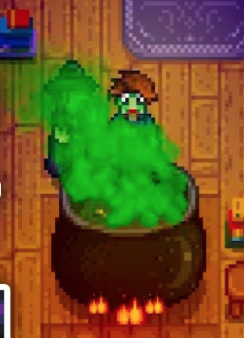 There will be some dialogue exchange between you and the wizard and then he will ask you to drink the liquid from the green pot. 4.Once your character drinks the green liquid, everything will turn green and you will see some trees on the screen. Just after that, the quest will be completed. This is it; this is how easy it is to complete this quest. The reward that you will get from this quest is the potion that will enable you to read the language of Junimos. Now it is very important that you read and understand the language of the Juminos as without it, you will not be able to complete the community centre bundles. 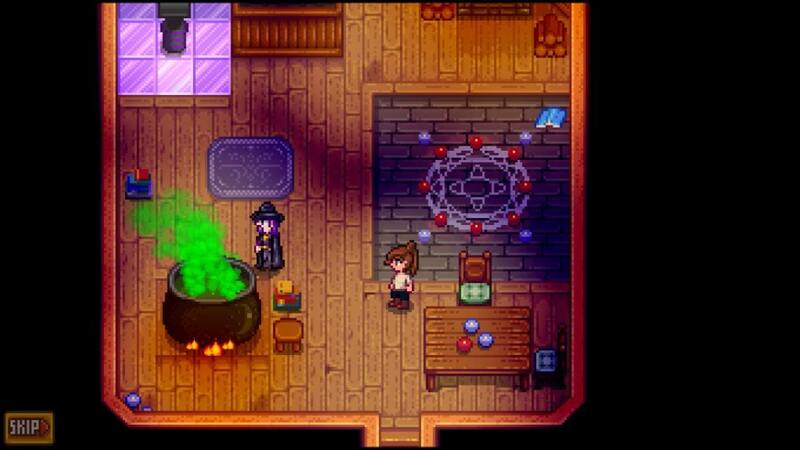 So the green liquid that you drink at wizard’s tower is actually the potion for reading Juminos’ language. So just follow the steps of the guide and soon you will complete this quest.